Contact Person: Mr. Daya Prakash, only for any official purpose not travel queries. My dream is a three month stay in Pughtal Gompa this winter for buddhist studies. I’ve read your post “Ladakh in Winters”. Do you think it is feasible reaching Pughtal in December and leaving by mid April or is it just a crazy idea? I have some experience trekking in Nepal and not scared of cold. If not, would you suggest any other Gompa? I am planning to travel to chandratal . Can you please help me with the local transportation options from Shimla to Chandratal and back. If you are looking for the competitive and customized tour and packages, you can connect with [email protected] (Ranjeet) as most of the readers in the past few years have had very good feedback about both of them and especially their transparent policies along with being there with you all the time in need. So, we trust them the most. You can refer my name or DoW to them as both of them knows us very well and should be able to offer some special rates being a DoW Member. You can just refer them the DoW Community Member Username in such a case or screenshot/link of this reply here. We are planning for a non-stop bike ride from Pangong Lake to Manali in June. Please advise us as to how much time will we require, and the road condition for this. The maps show 16 hours. Please help. It is too much to ride in one day. Pangong Tso to Sarchu is also pretty long ride, in fact, drive too, add 8 hrs more from Sarchu to Manali. I will highly advise not doing it as it could result in fatal consequences. Will you be able to help us with the halt points? Pangong Tso to Jispa, overnight at Jispa. Jispa to Manali. Is this better? So, target for Sarchu and if you reach say by 2-3 PM at Sarchu, then you can attempt to reach Jispa if you really want else spend night at Sarchu only. 1. How to obtain d permit for umling la & which route to follow? Manoj, you can read all about Umling La at: How to plan a trip to Umling La Pass – Highest Motorable Pass? This review is a little late one but a deserved one or sure. We started our Spiti journey August 2017 with 6 friends and ended the trip with 7 friends. Our travel guide Anil has shown us an exceptional side of Spiti with unmatched enthusiasm and charisma. We started our journey as tourists but we were enriched with the traveler experience with access to local cuisines and culture. The journey was an incredible one and I’m glad whenever next I do visit Himachal there will be a two step protocol 1) Book na karo, Dukh na karo! 2) Call Anil. Cheers Bro! Hello .I am planning a budget himachal trip.the itinerary is as follows. ALL I WANT TO KNOW IS ABOUT TRANSPORTATION. transporation for the above route(delhi-shimla-manali-…amritsar)AND transportation within these places(eg:-inside manali,inside dalhousie,etc). So it will be great help if u can provide the MEANS OF TRANSPORTATION and APPROXIMATE COST for each places. Mohammed, you will have to rely upon the public transport which is easily available in between these places. You should check the HRTC website for bus timings and connectivity details. Hi, I am travelling to Leh in April. I just wanted to check how can we rent a bike just to travel in Leh city. Query 1) Is there any shared taxi available for sightseeing in Leh. If so, What are the per head charges ? We are two people. Query 2) I have a driving license but my license expired 1 month ago. Can I get an Activa (scooty) on rent for local sightseeing? Query 3) I wish to travel to Nubra Valley and Pangong lake too during my tour. So, is there any way possible to travle this way: I first go to Pangong lake, then from Pangong Lake to Nubra valley and from the velley to Srinagar directly from there? Are there any buses or shared taxis available for the above route? 1. private taxis are very costly in Leh but you will be able to find the shared taxi without much fuss at all. There are lots of flyers which people put at cafes, dine-ins, restaurants, travel agent desks/shops/whiteboards wanting to share the taxis for different trips within Ladakh. Even travel agent organize such shared taxis trip as well but charge a little higher about Rs 200-300 more than it would ideally cost. So, in the worst case, you can always go back to them and book a seat for yourself. 3. First, you must go to Nubra Valley and then to Pangong Tso. From both places, you have to come back to Leh only to travel to Srinagar. Now, doing the direct route between Nubra and Pangong Tso, it will all depend upon the shared taxi you will get in Leh. Thanks Dheeraj. As per the query 3, are there buses to Nubra Valley and Pangong Tso from Leh? WHat are the timings? 1*We are a couple flying to leh next week. By flight cant able to take more things (extra luggage), so tell me somethings thats to avoid purchase in delhi that can brought on leh (same price/better quality). 2*SNACKS,ALL COSMETICS, GROCERIES = MRP rate or more..
3*Are share tourist taxies are safe for ladies also. 4* TIPS for negotiation for share tourist taxies (if you share one of your any experience,will be helpful). 5*List of Things which are much costlier better to buy on delhi. Most of the stuff can be purchased in Leh. I will suggest to carry whatever possible for you and then buy remaining in Leh. There isn’t too much of difference in Leh market. But surely it will be more. Regarding shared taxis, mostly they are tourists and in general, fine to travel with. Rest you can opt for a shared taxi with couples or families or girls only. There are lots of flyers which people put at cafes, dine-ins, restaurants, travel agent desks/shops/whiteboards wanting to share the taxis for different trips within Ladakh. Even travel agent organize such shared taxis trip as well but charge a little higher about Rs 200-300 more than it would ideally cost. So, in the worst case, you can always go back to them and book a seat for yourself. Can i get mineral water and milk everywhere. In the followings.. Leh-nubra-pangong-hanle-moriri-kargil..
Also tell what are the common eatables get on everywhere..
We are having 1 full-day free at delhi. Can I purchase anything good stuff related to ladakh trip.. plz suggest me anything better buy in Delhi market.. Also tell me in delhi is there any shop particularly sells innovative travel things.. If there plz give contact. You will see almost everything you may need. Pick whatever possible for you, you will save almost on all items especially warm clothes if you don’t have them. You can use online links to order them as well. You have to stock mineral water from Leh for this route, it will not be there easily available on it. Most of the Ladakh server basic food like dal, rice, sometimes chapatis, Maggie, chowmien. Apart from this, it will be hard to find much. We are three families & planning to visit Uttarakhand at the end of this September. Our plan is Haridwar – Deoriatal – Tungnath – Chopta – Badrinath(2 days) – Kartik Swami – Khirsu – Haridwar. Haridwar to Haridwar 8 days. I found Rakesh Singh Negi from your site and contacted him for the tour. He is ready to arrange vehicle and accommodation. Now this is the time to send him some advance. Just let me know how reliable he is. I also heard the name of Lakhpat Singh from another source. Do you know him? I am waiting for your valued advice as you are the expert of this part of Uttarakhand. Thank you Surajit, are you talking about Deoriatal? i’ve gone through your thread on Deoriatl – both the threads. But I have contacted Rakhesh Singh Negi for 8 days. I just want to know how reliable he is and need your suggestion on my total tour schedule what I mentioned before. Yes, total tour itinerary is fine Surajit, but reliability wise best I can tell is that I have not heard anything negative about him by anyone in the DoW Community. But, yes, the risk is always yours to take. Both Shimla – Kaza and Manali – Kaza routes are open. It is advisable that you cross Losar – Kaza stretch in after noon as there is wild water crossing which gets too swollen by later afternoon. The water crossing comes on the way to Losar just before the village while coming from Kaza side. Thank you dheeraj. Any other pointers for the trip? We are a group of ten people. We have planned a bike trip from manali to leh on 5-6 royal enfields(rented). We think we are prepared for the clothes and itinerary,but we are confused if it is raining very badly on the way. Second concern is about the permits. As far as i have read,we need two kinds of permits,one for beyond rohtang and one for leh. But u have read at plenty places that we dont need beyond rohtang permits anymore(himachal tourism said the same thing,but iam confused if i made some mistake in interpreting). Please tell if i need to make the permits before hand(probably online) . Our trip starts on 12th August. Thanx a lot dheeraj,appreciate the quick response. I got the links for both permits online. Just one more thing i needed to ask. In the inner line permit,there are five circuits mentioned for which i need to provide information for making the permit.due to less then just vague knowledge about the name of areas and lack of my own resources,iam confused for which ones to opt. I could relate to only 2,in which khardong is mentioned and other,in which nubra is mentioned. It would help me a lot if you could tell which ones i should i get enlist myself and friends if i need to visit local leh market,nubra and khardung la pass. 2	Khardong, Khalsar, Trith upto Warsi and Yarma Gonbo, Disket, Hunder, Turtuk, Pachathang, Tyakshi in Nubra Sub-Division. 3	Upshi, TsomoRiRi/Korzok in Nyoma Sub-Division. 5	Kharu, Changla, Durbuk, Tangtse, Lukhung, Spangmik, Man-merag(Pangong Lake) in Nyoma Sub-Division. We do not offer any packages. If you are confused by a similar or same name that does, they are different people than us who use a similar brand name like us and are copy cats using our brand name for commercial purposes. We do not have any association with them. 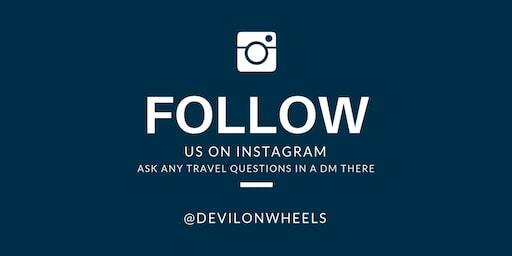 The original Devil On Wheels (we) established back in 2008/09 do not conduct any tour and travel business and only provide all the required travel info. 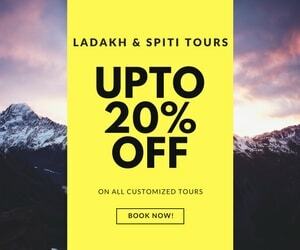 to make memorable trip to Ladakh and other parts of Himalayas for FREE. We help make people plan their trips to Ladakh and other parts of Himalayas by providing information for their tours. Beware of such copy cats who may end up spoiling your trip than making a memorable one. I and my husband are planning a trip to leh via srinagar. Srinagar, Kargil, Leh,nubra, pangong, leh, jispa/sarchu, manali and back to mumbai via chandigarh. After doing a lot of R&D, I have been suggested to drop the rohtang pass/manali plan as it would become too costly and hectic. Please, I need your help/advise on preparing an itenary. I can end my trip either at leh or srinagar instead of going to manali. I want a reasonable, comfortable, adventorous plan. Please do guide me with your valauble inputs. Hi, I’m a female planning to do a solo to Leh, Ladakh from Delhi. I understand the Leh-Manali road will be closed by then but what are my options to get from Manali to Leh. Can I book a shared taxi in advance or must I try my luck on the day itself? If so, where do I find these taxis or contact them? Or do I have a better chance with the HRTC buses? As I would prefer to do a stop at Keylong. Please advise on the feasibility of the above as I do want to experience on-the-road travel. Otherwise would you recommend flying into Leh directly from Delhi. You can easily try your luck on the day itself or an evening before to get the taxi. For Manali – Leh journey, if budget is not too much of concern, HPTDC Tourist Bus service can also be opted. Thank you for your prompt response! Would these shared taxis and HPTDC Tourist Bus Service be still available in the month of October? And can I opt for night stop at Keylong? In the month of October, I believe only HRTC buses will be running which stops at Keylong. HPTDC stops at 15th September. Regarding tourist shared taxis in October, well, depends on luck as it is season end and rush of tourists is less. So, be prepared to make trips over local shared taxis too. We are group of 3 friends. We have planned a trip of 7 days to visit leh in second week of August. This is our first visit this place and we want to make most out of this trip. At the same time we want our trip to be full of adventure and a bit relaxing as well. Can you please guide to utilize our time in the best possible way. We have booked a cab from Rampur for Spiti and in accordance of your last reply we have reserved 3 days for jispa, bara la chaa la and Suraj Tal, but our cabbie is a bit reluctant to visit those areas on the pretext that we need permits for that. We are not sure what to do as our cab driver will not furnish permits for areas beyond Gramphoo, can you confirm about the need of permits and if they are needed how can we furnish them ? If you are traveling from Spiti Valley to Keylong, there is no permit required for it. You can get connected directly to some drivers in Himachal or Spiti Valley or Kinnaur Valley at the link: List of Taxi Drivers for Spiti Valley & Kinnaur Valley. These drivers can come and pick you up from Manali / Shimla / Delhi / Chandigarh too, of course with a price of the pickup as well. These drivers are more familiar with the routes and road conditions in Spiti and Lahaul. Hi, we are planning to travel to Manali in July 2nd week. Planning to go to Rohtang pass as well. Would you think this is a good time or will the rains prevent us from visiting a lot of tourist spots? Nita, it is fine to travel in July and monsoon, in general, comes in second half of July only. Keep a tab on weather forecasts and take a decision. We, a group of 4 people, are planning a trip to Leh – Ladakh in August. We’ll be travelling by our own XUV 500 4×2. As this is our first visit to Leh, We wish to be a part of a group organised by your company so that we can make most out of the trip. We want our trip to be relaxing as well as adventurous. Duration may vary from 10-15 days. If possible, please include a small snow trek within the itinerary. I tried your contact number mentioned here, but it says its out of coverage.